Experimental rapper Eddington Again was recently featured on EARMILK for his transcendental single "Masturgrape" off of his upcoming Masturgrape mixtape. .. This instrumental production from AbJo is everything I've ever wanted. The Californian producer has just revisited the "Mystline" song from ..
Today's delivery is brought to you by a Thomas Prime remix of Funky DL. Funky DL is a british MC that perhaps you haven't heard of but doesn't .. 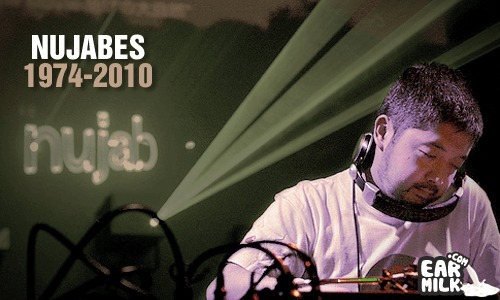 It seems like forever since the late Japanese producer Nujabes left the world in 2010. Being a significant role model and influence in the hip-hop ..
Ta-ku may be one of the more active beat producers of our time, cranking out EPs, singles, and tributes left and right. He is an electronic ..
Ah, Christmas came two weeks early this year. It seems like just yesterday the late producer Nujabes passed away, leaving behind a legacy .. So, it's finally here people. Nujabes's final album entitled Spiritual State has just dropped and this marks his third official album releases .. So, the official soundtrack for the upcoming Nujabes documentary has just dropped, for free. The documentary is called "An Eternal Soul", ..
Long Arm has recently released his album, The Branches, and along with that he has just released a video for the track "When Children Sleep". ..